Streamlight 69210 TLR-1s LED Tactical Gun Mount Strobe Weaponlight FREE SHIPPING! Instantly transform any pistol into a combat-ready tactical weapon using the TLR-1s LED Tactical Gun Mount Strobe Weaponlight from Streamlight. The light features a powerful LED lamp the emits a stunning 300 lumen beam that instantly illuminates entire rooms, dark corridors and lightless alley ways. The TLR-1s also acts as a handy defensive weapon. A blinding strobe mode disorients enemy combatants, giving users a tactical advantage in close combat quarters. Universal mounts provide versatile attachment options and secure to any Glock or Picatinny style rail. An ambidextrous switch offers quick one-handed activation regardless of the operator's preferred shooting position. Designed for to go anywhere, the tactical upgrade is completely waterproof and can be submersed under water over three-feet and still maintain functionality. Great price and a great light. Plan to make great use of this light. Great light for duty weapons and ppd. This thing in VERY bright The switch feels like quality I bought the remote switch for My Glocks however the fit on the Glock is so good I have found the remote is not needed. I have a Walther PPQ & also an H&K 45 it fits both weapons well but the position is far away from the trigger guard I could use a remote switch for these applications. Great light, fits my gun with no problems. Perfect, Fits great on my Glock 22 Gen 4, now if I can find a off duty holster for my Glock 22 Gen 4 with this light we will be in business. Great light. 300 lumens is more than enough for personal use. Great tool to have. I look forward to using and training with it more. 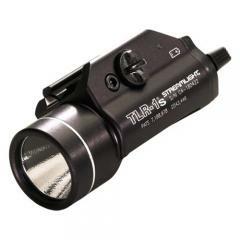 ©2002-2019 CopsPlus.com: Streamlight 69210 TLR-1s LED Tactical Gun Mount Strobe Weaponlight FREE SHIPPING!